When a vehicle like the 2017 Land Rover Discovery comes into your life, you need to be sure to bring it home. This new model is sure to impress every driver—so check it out below. The Land Rover Discovery has a versatile design that Washington DC drivers would love. With up to seven seats, there is plenty of room for your passengers and your cargo. The Optional Intelligent Seat Fold allows you to configure the second and third row seats using switches. Plus, the power-gestured tailgate makes it easy to access your cargo area, and the optional Activity Key comes as a wristband so you don’t need to worry about storing keys. When you’re looking for technology in Baltimore, the Land Rover Discovery is a good choice. This model offers InConrol® Touch Pro™, which takes entertainment to the next level. The 10-inch HD touchscreen makes it easy to find what you’re looking for, and the multiple USB outlets keep your devices connected. If you want to go off-roading in Arnold, the Land Rover Discovery will make it happen. This new model features Terrain Response® 2, which monitors driving conditions and automatically selects the best driving mode. It can also tow up to 8,201 pounds, so you can bring your fun toys along for the ride. No matter what you want to do or where you want to go, you can count on this vehicle’s performance features to get you there. This new model comes standard with a 3.0L Si6 petrol automatic engine with eight-speed automatic transmission. With this model, you’ll enjoy 340 hp and 332 lb-ft of torque for a satisfying ride. You can also choose a 3.0L Td6 diesel engine that comes with an eight-speed automatic transmission and delivers 254 hp and 443 lb-ft of torque. The 2017 Land Rover Discovery is a very impressive vehicle that all drivers would be sure to love. 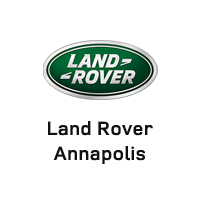 If you want to experience what this new model can bring to your own ride, visit Land Rover Annapolis at 101 Ferguson Road in Annapolis. You can also contact us online or call us at 410-907-8300 to schedule a test drive or apply for financing.